The Cutrera Selection extra virgin olive oil is taken from the best Moresca, Biancolilla, Nocellara, Cerasuola and Tonda Iblea varieties, collecting together all the aromas of the most representative Sicilianolive varieties. The olives are cold pressed which produces a green and slightly cloudy oil as a result of natural settling. The aroma has a considerable note of artichoke. It is a full-bodied oil with a taste of artichoke and a good balance of bitterness and spiciness. There's a final hint of oregano to finish off. Thanks to these characteristics, it serves well with marinated fish, mushrooms, salads and soups. 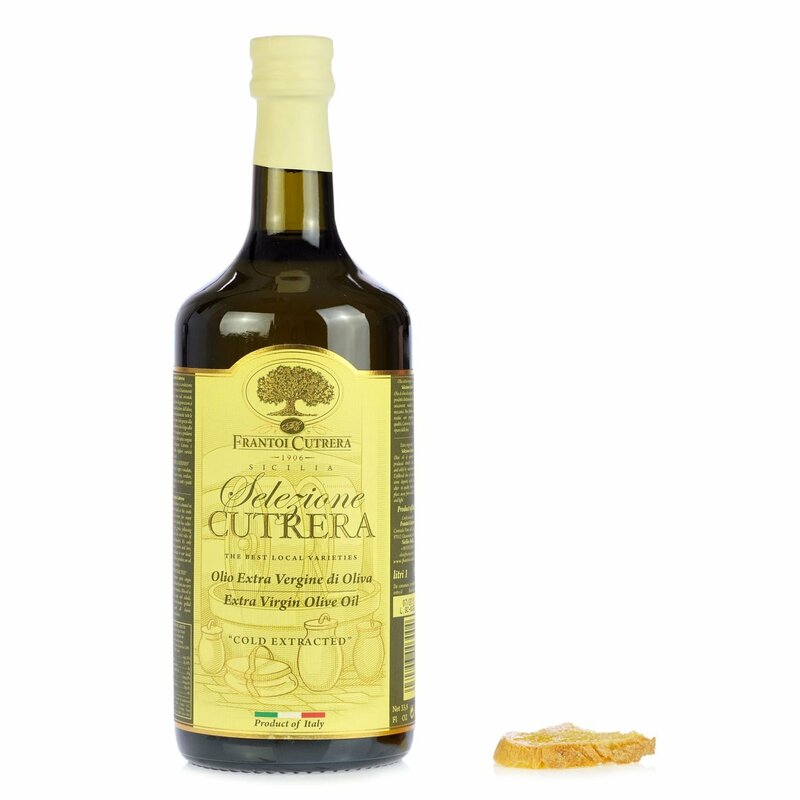 A versatile olive oil, it gives a characteristic flavour and aroma to all traditional Mediterranean recipes. Ingredients Extra Virgin Olive Oil, variety: Moresca, Biancolilla, Nocellara, Cerasuola, Tonda Iblea For more information on product labels, please contact our Customer Service department. The information on the labels of the products may vary for reasons beyond our control, therefore, there may be discrepancies between the information on the site and that on the products delivered. Please always check the information on the product before consumption or use. The tradition of Frantoi Cutrera is a story of passion and love for the land throughout its generations. The company only produces quality oils pressed within 6 hours of picking. This means that all the flavours and scents of the olive are captured in the oil thanks to the experience of the oil masters.